Parent Tested, Parent Approved Award Winner. 2016 Family's Choice Awards Winner. Statistically speaking, zero percent of children in America are meeting the American Heart Association s Simple Seven guidelines for a healthy heart. Why? Poor diet. When it comes to health, this is where our children are at the greatest risk. 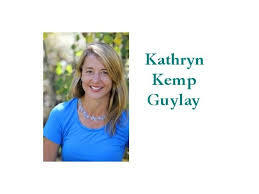 If there is ever a time when we need Kathryn Kemp Guylay s newest book, Give It a Go, Eat a Rainbow, it s now. Kathryn, with help from friends and her son, has created a resource that is engaging to KIDS. With colorful, magical illustrations and a well-crafted storyline, Give It a Go, Eat a Rainbow brings fruits and veggies to life. I strongly recommend this book and I urge everyone to bring it to every student in every elementary school in the country. Thank you, Kathryn! --Laura Putnam, CEO of Motion Infusion and author of Workplace Wellness that Works. Are you a parent or teacher hoping to encourage children to eat more veggies and fruits? Want to support healthy eating messages in a fun, educational and positive way? Looking for great educational messaging with peer-to-peer messaging? 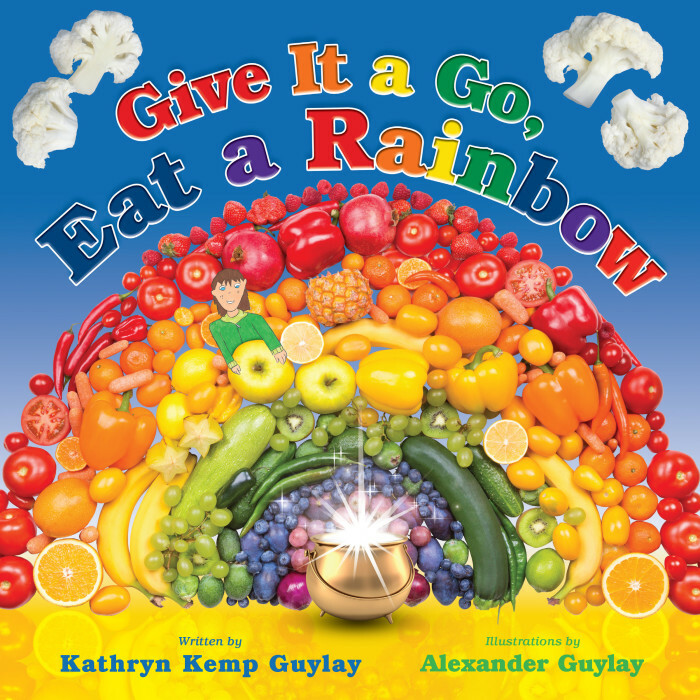 Give It a Go, Eat a Rainbow uses charming illustrations by 12-year old Alexander Guylay combined with real-life photography and simple rhymes by award winning nutrition educator Kathryn Kemp Guylay to create an augmented reality that immediately draws kids into the story. Kids are introduced to Blake, the main character, who feels sleepy (low energy) and wonders why he doesn t have the energy to play like other kids. Blake meets a friendly, magical leprechaun who takes Blake on a journey to find the pot of gold (a metaphor for good health and energy). 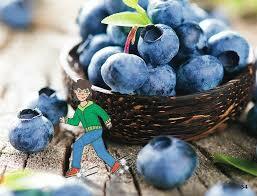 Blake is shrunk down to tiny size and explores the colorful world of fruits and veggies. The colors (and fruits and veggies) lead to the pot of gold, where Blake feels vibrant and full of energy. The book addresses healthy eating, specifically fruits and veggies, in an engaging and positive way. Targeting early childhood and elementary school age groups, this picture book will be simple yet profound in promoting healthy eating habits in children. Each page is created for maximum engagement, using a delightful combination of photography, illustration, color and text. Think The Wizard of Oz meets Honey, I Shrunk the Kids meets nutrition and health literature. As an avid artist, Alexander ("Alex") Guylay, 13, spends hours sketching, outlining and coloring characters he creates. Alex is following in the footsteps of his Grandmother Marilyn who received her Masters in Art from the prestigious Art Institute of Chicago. In both 2015 and 2016, Alex won Awards (Silver and Bronze) for Academic Merit in Art, a high distinction for his dedication to the subject matter. When conceptualizing her new children's book on eating well, Give It a Go, Eat a Rainbow, Alex's mom Kathryn Kemp Guylay knew immediately that her son's artwork would be an ideal fit for the book. They applied augmented reality, an art medium that mixes real life photography with Alex's whimsical hand-drawn images. Alex knows how to properly fuel his body, especially for activities he enjoys like: alpine skiing, hockey, mountain biking and hiking. From a young age, Alex has absorbed and embraced nutritional advice in a fun, actionable way. His warm and witty sense of humor allows him to share information about healthy living in a way that is high impact and well-received by other children. Alex finds inspiration for his illustrations from artists Jake Parker, Alan Blackwell, Matthew Armstrong and his art teacher Cara Frost. Alex is a middle schooler in Sun Valley, Idaho. From kindergarten classrooms to corporate boardrooms, Kathryn has inspired tens of thousands of individuals to improve their health and happiness. Kathryn is constantly admired for her effective and fun wellness education. Never wanting to be perceived as the food police or convey guilt, Kathryn uses positive messages as well as games and activities to bring wellness lessons to life. Kathryn is a speaker, certified nutritional counselor and coach with a master s degree in business administration (MBA). She is the founder and executive director of Nurture, a national nonprofit that provides nutrition and wellness education to children and adults. Kathryn also collaborates through several althth initiatives such as Michelle Obama s Let s Move, the Center for Science in the Public Interest and the Wellness Council of America. She is also a sought-after media expert in the area of wellness, having appeared on over a hundred radio and television interviews including NPR, CBS, and WGN. Kathryn is also an award winning and bestselling author. Her first book, Mountain Mantras: Wellness and Life Lessons from the Slopes, presents stories and experiences from her personal life, using skiing and snow sports as metaphors for success in life and health. 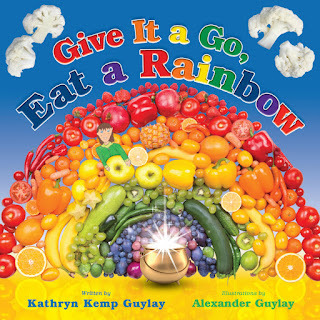 In her new children s book, Give It a Go, Eat a Rainbow, Kathryn educates kids about the importance of eating a colorful variety of fruits and veggies. Illustrated by her son Alex, the book inspires children to try new healthy foods. Kathryn and Alex applied augmented reality, an art medium that mixes real life photography with Alex s whimsical hand-drawn images. Kathryn learned early in life how the food you eat directly affects how you feel. She quickly became hooked on nutrition. She fully embraced her passion for nutrition professionally after her children were born. Through her work with Nurture, Kathryn credits her family for her continued passion for nutrition and healthy living. Her husband, Jeff, is her trusted recipe reviewer and is a consistent Nurture volunteer. Her daughter (15) and son (13) love growing and preparing food. Kathryn s interests include running, skiing, yoga, music and sustainable farming. Kathryn is honored to be a member of women s alpine skiing and Nordic skiing teams in Sun Valley, Idaho and has been named a Health Hero by several organizations, including the Department of Health and the Edible Schoolyard Project (Alice Waters).